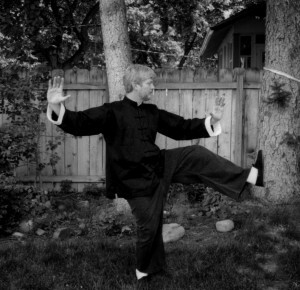 Chris Frandsen has been a student of Asian Martial Arts for 46 years. After more than two decades of studying and teaching Okinawan/Japanese Karate and weapons he began his exploration of Chinese Martial Arts with Wing Chun and Praying Mantis with Sifu Stephen Lehman. 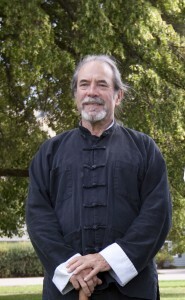 In 1994 Sifu Lehman introduced him to Hsing yi, Bagua Ch’uan and Tai Chi Ch’uan. Sifu Lehman encouraged Chris to focus on Yang Style T’ai Chi Ch’uan and in 1998 sent him to study with Jeff Michaud, a student of Grandmaster Tung Kai-Ying and the founder of the Missoula Academy. Chris became assistant instructor in 2000 and was appointed to the position of Teacher by Grandmaster Tung Kai-Ying in 2001. Chris travels to study with Grandmaster Tung and his son Master Tung Chen-Wei as often as possible. Mike English has been a student of the academy.since 2003 and for the last decade he has attended workshops and camps with Grandmaster Tung Kai-Ying and Master Tung Chen-Wei. Mike is a clinical social worker and a professional working musician as well as a dedicated martial artist with a background in Aikido and Shotokan Karate. He has been an assistant instructor teaching classes in the Bitterroot valley for more than nine years.